Did you know that there are over 20,000 chapters of the Red Hatters? 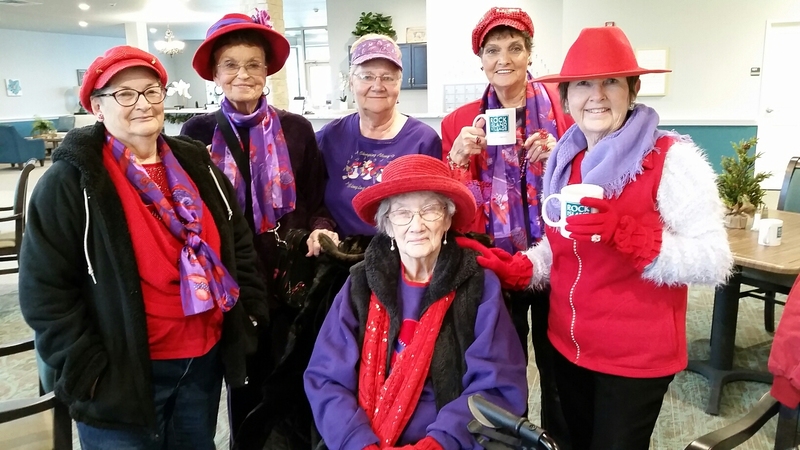 The Red Hat Society is an international society of women that connects, supports and encourages women in their pursuit of fun, friendship, freedom, fulfillment and fitness while supporting members in the quest to get the most out of life. We love it when they hold their meetings in our house!